Being charged with a minor offense can lead to months in jail awaiting trial for anyone who can’t afford bail. For someone with a high profile, this could greatly damage their career. 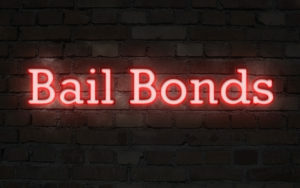 When searching for someone to provide your bail bonds, you need to make sure that your reputation remains protected. The reputation of a high profile celebrity is directly tied to their profitability. Everyone makes mistakes but for people who are in the spotlight, the wrong move can come with higher stakes than the average person. If you’ve come across a run-in with the law that you need to get taken care of quickly and discreetly, be sure you hire the right professional. Here are the four things you need to look for when hiring a bail bonds professional in Hollywood. The legal system is a labyrinth, difficult to navigate for people who don’t have a degree or only have experience being on the wrong end of the system. Bail bond providers know what to do no matter what time of day. While the people at the courthouse or police station you need to deal with might hold down a 9-5 position, a bail bonds person knows who to call from 5-9. Building a trusted network of connections is what people who work in this industry do. Bail bonds professionals know how to level with both a judge and client. They know which judges will be more lenient with you, which clients are more of a flight risk, and how to mediate the relationship between the two. Hiring a professional who can be honest with you will help you better understand the system if this is your first major run-in with the law. An experienced bail bond provider can get someone out any hour of the day, during the holidays or over the weekend. It’s their years of building relationships that you’re paying for when you hire them. The first phone call you want your bail bonds provider to make is to someone who can get you or the accused out of jail. In Hollywood, a lack of discretion will lead them to call other loose-lipped “professionals” that will have TMZ reporting on your case in minutes. Clients need to have confidence in the quality and discretion of your business. In fact, that’s part of why you’re paying them. An unflinching professionalism, no matter how much local tabloids try waving at them, will keep your issue between the two of you. A poorly-run bail bonds company will have people at the front-desk gossiping, big open windows that you can see from the street and make you feel uncomfortable. When discretion is at play, let your bail bond provider know. They shouldn’t be taken aback because they should already be working under an order of discretion. Make sure you feel that your provider is listening to you, is serious, and wants to help you. If they see you or the name of the accused and you can see them counting money in their head, turn for the door before things get messy. Your bail bonds provider has probably seen every kind of case and accusation come across their desk during their career. When you tell them what is happening, they should be sympathetic with a desire to help. If someone is arrested or charged during the holidays or a weekend, it can be hard to be without your loved one. You planned to be celebrating their successes and their continued achievements through another year, not spending Christmas or New Years in a bail bond office. When you enter, you need to know that the staff understands that as well. Regardless of what the charge is, discreet bail bond providers should treat everyone without judgment. Higher profile people are often wrongly accused of charges inflated by accusers who might have dollar signs in their eyes. The staff should understand that their role isn’t to judge but to help you and your loved one. And remember, your loved one hasn’t been tried, merely accused of breaking a law. The role of determining judgment is for the judge, not for the people working in a bail bond office. If you start to feel that you’re being judged, head for the door. What your bail bonds office is tasked with doing is to be realistic about setting your expectations. Celebrities accused of breaking laws could be made an example of by judges or could be assumed guilty by a jury because of the type of art they make. The best bail bond professionals know better than to pass judgment. You need to have discretion from your bail bond providers because you’ll have enough to deal with as the public finds out about your case. Dealing with paparazzi, internet commentators, and media personalities is going to be a headache for you and your loved one. You don’t need to start having to pop Advil inside of the bail bond office. Getting a bail bond from a discreet provider is essential for having a fair and balanced case in the end. Even though juries are vetted for biases, there can be unpronounced biases that can start as soon as the first reports go out. Even if your loved one’s case doesn’t go to trial, a public perception of guilt will damage the possible deal that they make. It could sour the possibility of getting back to life as usual if the person providing your bail bonds was indiscreet and gave out private information. In a system where the accused are to be presumed innocent, it can be hard to buffer that against public perception. No one is immune to gossip, most especially Hollywood gossip. Having someone who knows how damaging that can be will be beneficial to a positive resolution for you and your loved one. If you’re ready to find a discreet bail bond provider, contact us today.